5.0 / 5 Score from 1 reviews. - 10% discount until 30 Nov 2019! 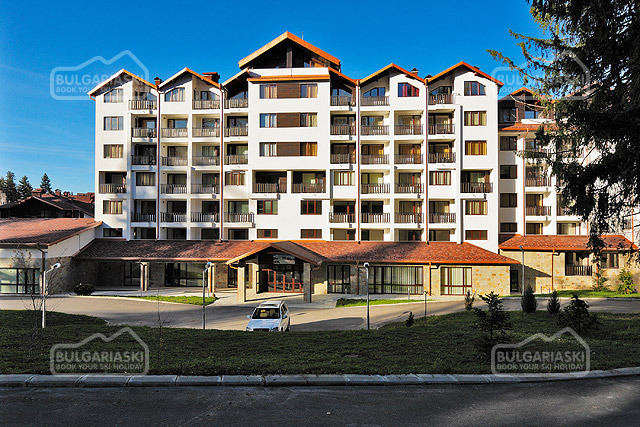 Location: Kralev Dvor family hotel is located about 900 m from the Gondola ski lift and at 5 minutes walking distance from the centre of Bansko ski resort. 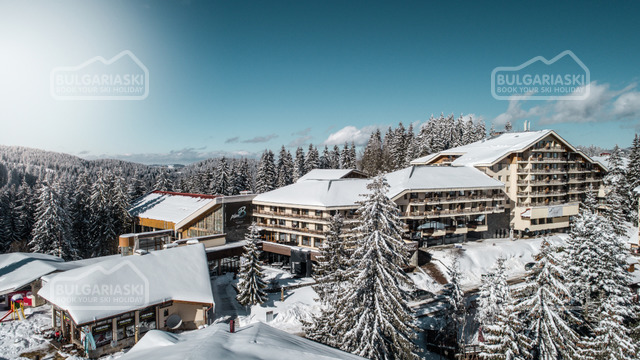 The hotel offers transport to the ski lift. 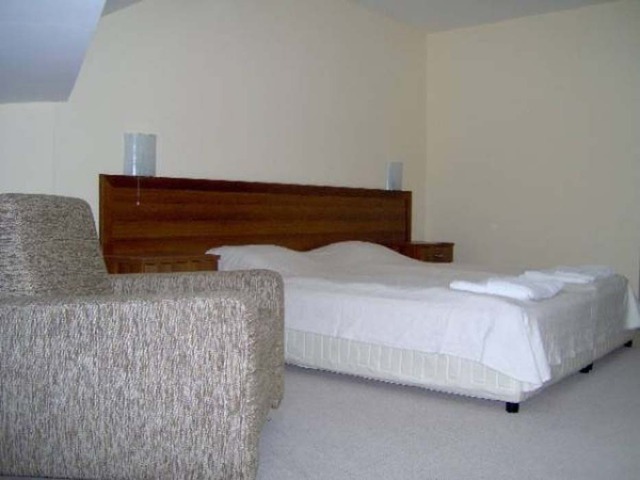 Accommodation: The family hotel features 7 double rooms and 8 maisonettes. The guestrooms feature double bed, folding sofa, balcony with mountain view, mini bar, heating, safe, TV SAT, working desk, Internet access, hair-drier, shower cabin. 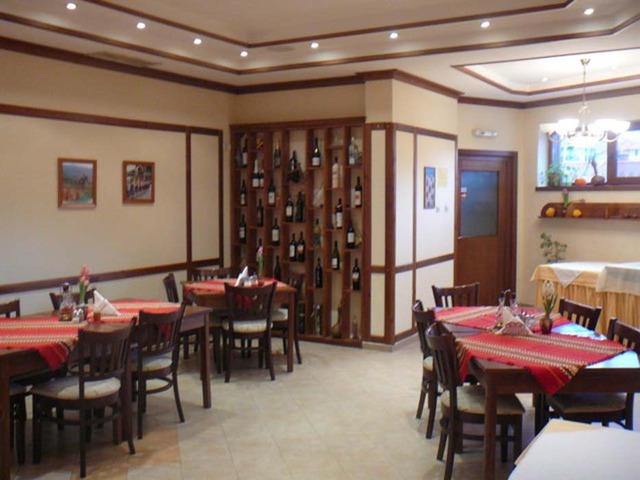 Bars and restaurants: Kralev Dvor family hotel features restaurant, wine cellar and BBQ in the garden, children's menu (on request), vegetarian menu, room service. 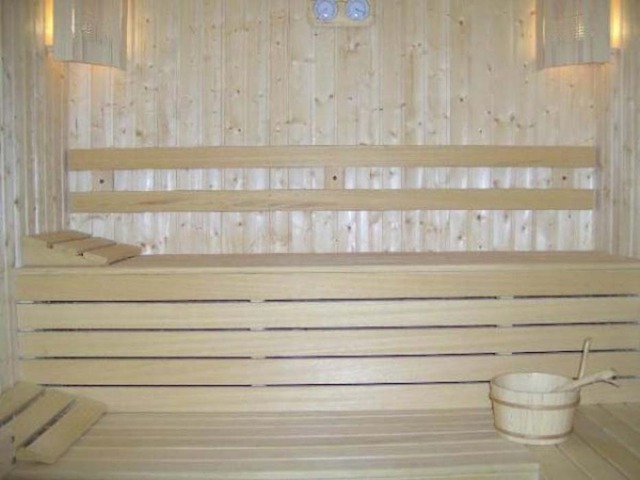 Sport facilities: Ski and snowboard depot, sauna, massage, free of charge children's sledge rent. 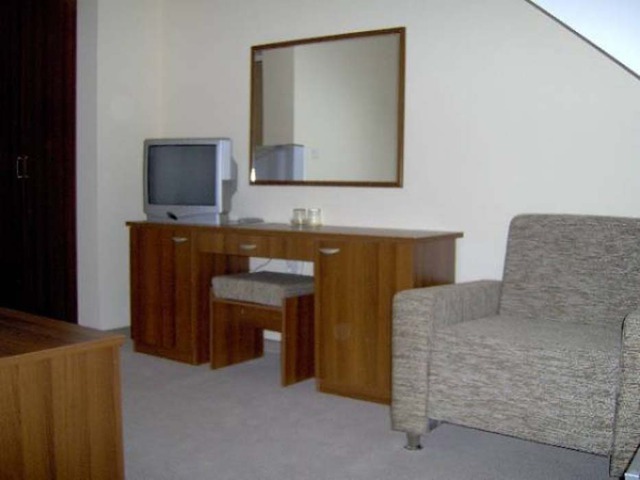 Facilities: Free of charge Wi-Fi internet and parking. Credit cards (Visa, MasterCard, Maestro) are accepted. 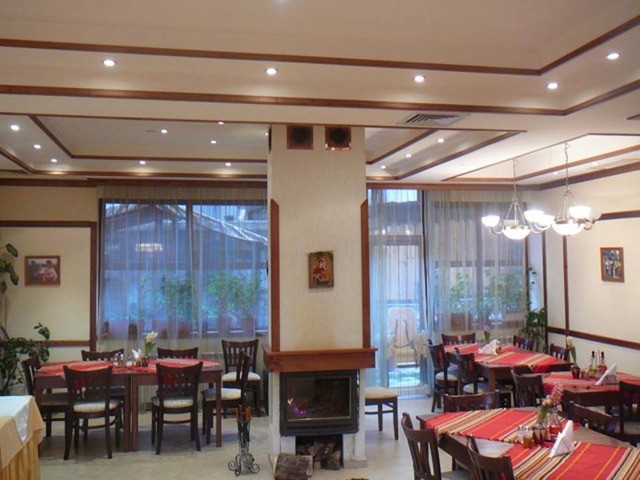 Please, post a comment on Kralev Dvor Family Hotel. 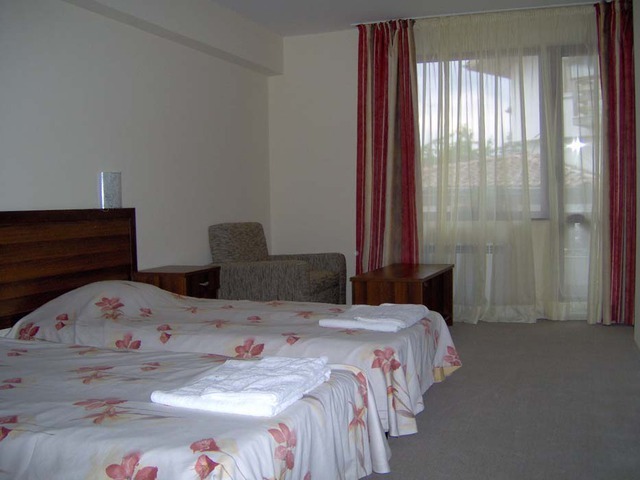 * The rates are in EUR per room per night, with breakfast included. The rates also include use of internet. 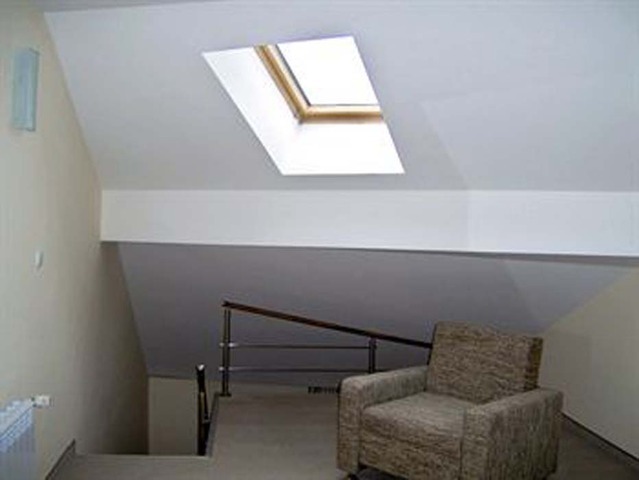 * Maximum occupancy: Double room: 3 adults; Studio: 3 adult + 1 child or 4 adults. * Cancellations can be made free of charge providing details of this are received at least 14 days prior to check-in time on the day of arrival and 30 days during 28 Dec - 11 Jan - cancellations made after this period will incur a fee equivalent to the cost of three night's accommodation. 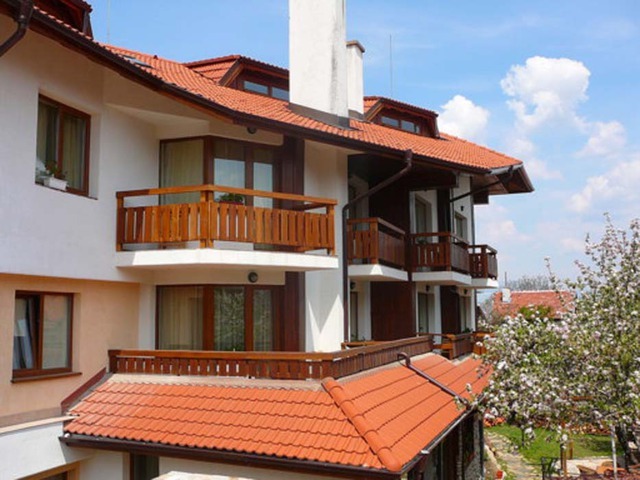 They have a beautiful hotel and restaurant offering quality home cooked bulgarian cuisine.